Summer is the time where hosting parties is the thing to do. Aside from great cocktails, good finger foods are usually the hit of any well organized get together. 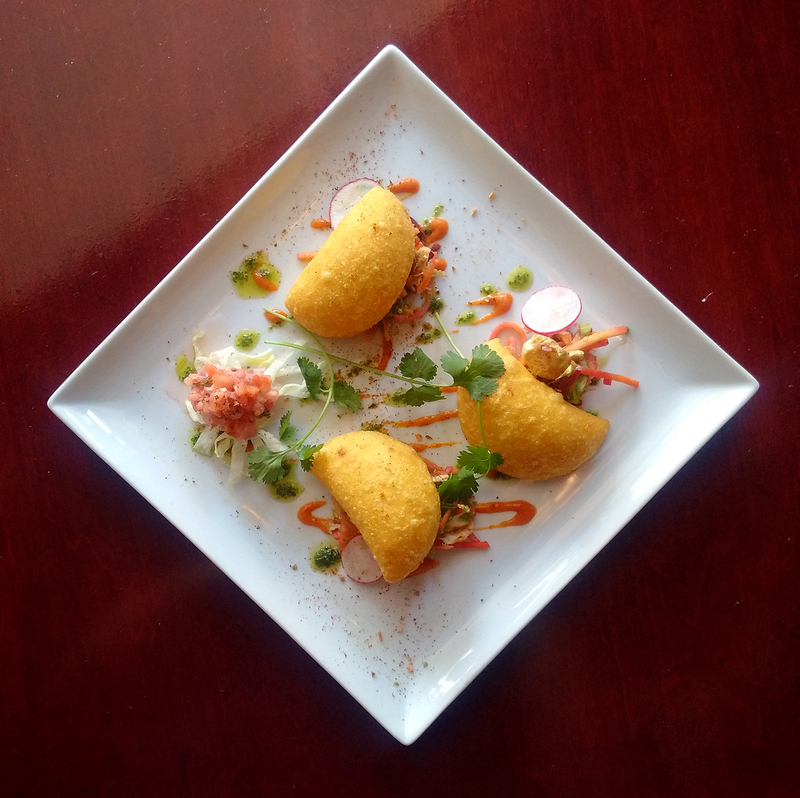 Snackbar-B-Q in downtown Windsor, provided us with a quick and easy recipe that would be a hit for any host and would be sure to wow friends and family: smoked chicken empanadas. 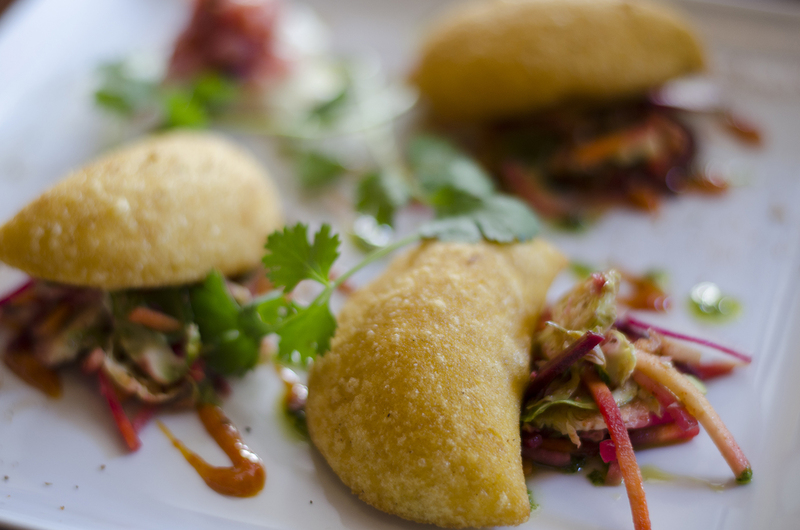 Seriously, how could you resist a smoked chicken empanada? Nice and crispy on the outside while soft and flavour packed on the inside. Start with a little bit of cold water in a bowl. Add dough mixture slowly until achieving a wet play dough like consistency. sautee onions and shredded smoked chicken with a dash of olive oil. To make the empanadas, use a tortilla press or rolling pin to flatten the dough. Use plastic wrap to keep the dough from sticking to the pin or tortilla press. Stuff flattened dough with a little bit of the chilled filling. Fold in half and cut the edges off in the shape of a half moon with a pint glass or coffee mug. Deep fry until golden brown and enjoy every bite with a little bit of Aji sauce. Experiment with any desired filling: smoked tofu and cheddar, pulled pork and BBQ sauce, etc. The possibilities are endless.